Although the above factors were certainly very important, it seems unlikely that the immigration issue or, indeed, the effects of globalisation, are the sole causes of this erosion of support for European integration. If there is an EU crisis now, it has been a long time in the making and the main causes of it are probably to be found within the EU's own policy‐making institutions. The EU policy‐making state has run far ahead of what voters at the national level want. The EU has acquired for itself the central function of a modern state, namely the power to decide (in considerable detail) a vast range public policies that affect the daily lives of its citizens. The EU has also acquired considerable powers of enforcement. All of the EU's institutions such as European Court of Justice and especially the European Commission have been very adept at task expansion. Similarly, the European Parliament, though of course containing avowed eurosceptics, has essentially been a pro‐integration legislature looking for work. Finally, there is the role of interest groups in the process of Europeanisation. The close integration of interest groups into Commission deliberations might have had the perverse effect of distancing the Commission from broader public opinion. The Commission has been a very open bureaucracy, ever eager to facilitate interest group access, but interest groups do not equal ‘the public’ as was seen in the UK's referendum. As one observer put it ‘the EU is good at writing rules: what it needs to do is strengthen the capacity to suspend, ignore, or replace rules that are obviously not working’. I doubt if anyone would seriously object to the EU's legislation on the safety of children in cars, but equally, not many people would support regulating the sale of misshaped bananas. This issue was seen in the referendum as an example of Boris Johnson's hyperbole, but it was not a figment of his eurosceptic imagination. Regulation EU No1333/2011, issued on 10 December 2011 does, indeed, specify minimum requirements for marketing bananas. 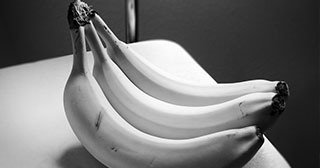 For example, bananas must be ‘free from malformation or abnormal curvature of the fingers’. However, if the EU's institutions were to make this (big) cultural shift, the irony would be that Britain need not have left the EU after all.